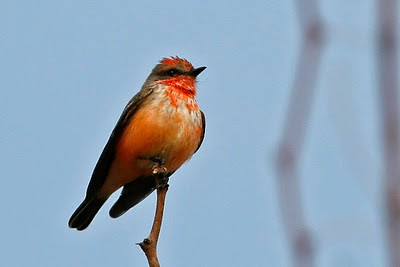 Another rare Mexican bird has turned up in Arizona - a Rufous-backed Robin. In fact, there have been a handful of Rufous-backed Robins reported in southern Arizona over the last few years, and as many as two were spotted at the same time at Boyce Thompson Arboretum over the last couple of weeks. 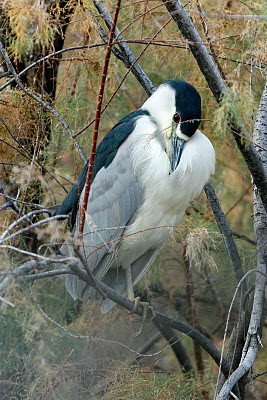 This bird is one that has been consistently seen at Boyce Thompson for about 4-6 weeks. The Rufous-backed Robin looks a little like the American Robin that is so common across much of North America. 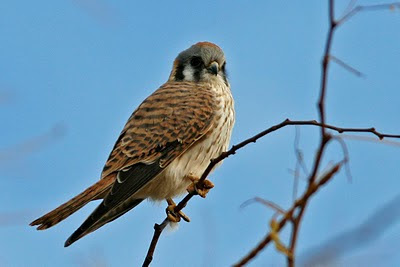 However, this bird tends to spend more time in shrubs and trees and less time eating worms. 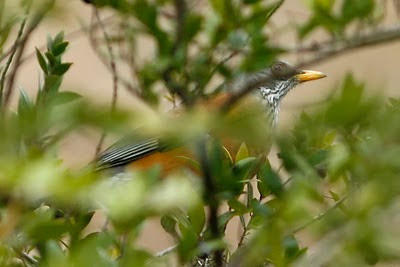 It is also a bit more secretive and retiring than the American Robin. As such, it rarely presented any photographic opportunities. 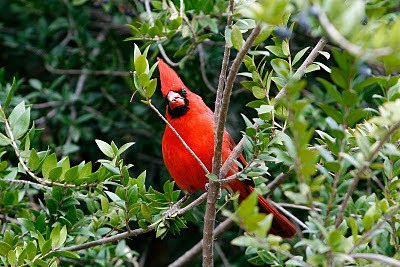 Boyce Thompson has been a little slow for birding in the last month or two, but it seems that there are always Northern Cardinals willing to put on a show. The big highlight at Boyce Thompson lately has been a Coatimundi, a sort of raccoon relative. Unfortunately, I just missed seeing it, and a photographer at the scene commented that it was "flushed" out by another photographer, and he'd gotten some very nice photos of it. Unfortunately, it was probably a bit scared of all the commotion, and despite waiting for over an hour at its favorite feeding site, I never saw it. 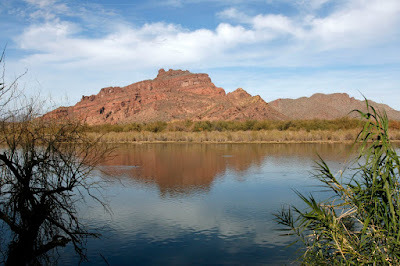 I also tried a new birding spot (for me) - Granite Reef recreation area along the Salt River - only about 7 miles north of east Mesa. 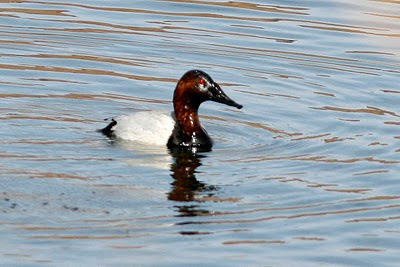 Granite Reef dam has created a nice sized and fairly deep lake, presenting one of the best spots locally to see ducks and waterfowl that prefer large and deep lakes. 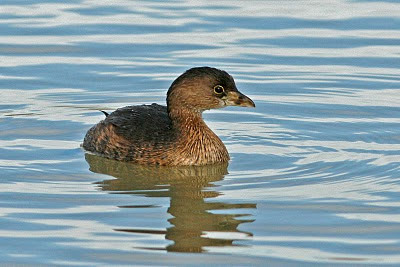 The dense reeds and riparian habitat along the lake make for excellent spots to see Sora, Bewicks Wren, warblers, and many other types of birds. 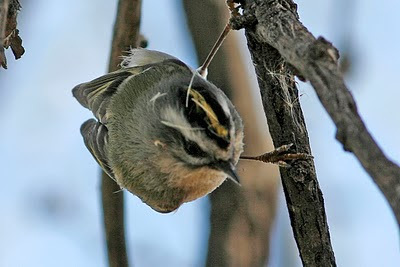 Highlights were Golden-crowned Kinglets, which usually don't travel to such low elevations in Arizona, as well as many ducks (Bufflehead, Canvasback, Redhead) that are not typically seen on shallow recharge basins and city ponds. My day actually started with a visit to the Gilbert Water Ranch where over 50 species of birds were seen, along with the usual assortment of rabbits and feral cats. 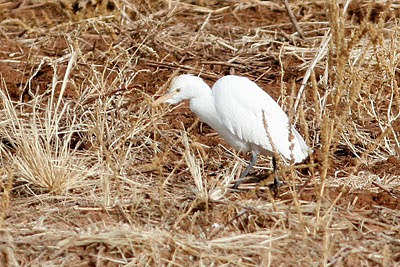 Some wintering Cattle Egrets were the most interesting find. From what I read, Cattle Egrets used to be quite rare in the winter in southern Arizona, but it seems that I've seen them each of the last 3 years now. Cattle Egrets can be easily overlooked if there are many other egrets in the area - especially Snowy Egrets. The Snowy Egrets are also white and about the same size, but the cattle egrets posture and behavior is slightly different. The most noticeable difference in appearance is the shorter bill, evident in the picture below.